Though the rise of Oregon Pinot Noir has been astonishing, now Oregon Chardonnay is having its day in the sun, and 00 Wines makes some you won’t forget. 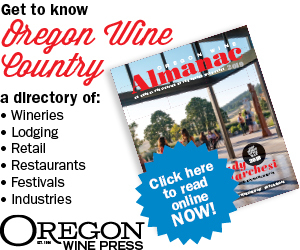 Founded in 2015 by prominent Portland wine industry attorney Chris Hermann, 00 Wines produces rich-textured, low-alcohol wines of power and elegance. And while the Carlton-based winery makes exceptional Pinot Noir (300 cases a year), the current focus elevates Chardonnay production (1,700 cases) — from exceptional sites such as Seven Springs, Bunker Hill and Hyland — beyond the current boundaries of Oregon wine using the “Black Chardonnay” technique. 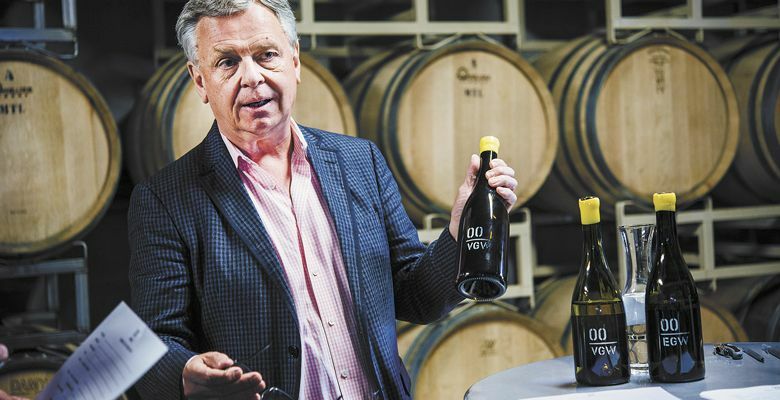 According to Kathryn Hermann, 00 Wines co-founder, Black Chardonnay features a traditional Burgundian method of extreme pressing, extracting more phenolics and fine particulates from the fruit. She explains, “As soon as the grapes are pressed, the resulting juice is dark and cloudy brown, almost black. We do not add sulfites to the juice; instead, we let it oxidize. This scares many vintners because it looks like the Chardonnay is ruined. However, this early oxidation is important because it develops complex aromatics, flavors and texture with the additional benefit that it prevents the wine from oxidizing later in the bottle.” The technique results in layered, textured wines with superb aging potential. While 00 Chardonnay tastes truly exceptional, the winery also leads a unique Pinot Noir program, sourcing fruit from Shea, Hyland and the lesser-known Stardance. The winery bases their picking decisions for both Pinot and Chardonnay on acid levels — not sugar levels (brix) — to achieve its signature flavor profile. With laborious production that includes hand snipping each Pinot berry from the cluster and whole-berry fermentation in 500-liter clay amphorae, the resulting wines are smooth with soft tannins on the back palate. While the winemaking has been guided by Burgundian winemaking consultant Pierre Millemann, whose clients include world-renowned producers such as Domaine de la Romanée-Conti and Dujac, 00 recently hired winemaker Wynne Peterson-Nedry — formerly with Chehalem Winery — for the 2018 harvest. She will be making the wine alongside current winemaker Maxence Lecat. Peterson-Nedry will lead the cellar in November, when Lecat returns to France. In the spirit of individuality, 00 labels don’t resemble anyone’s in the Valley either. Inspired by the Burgundian style of chalking the vintage on bottles while cellared, 00 has created a brand emulating the classic, Old-World feel while suggesting a playfully understated and elegant simplicity. 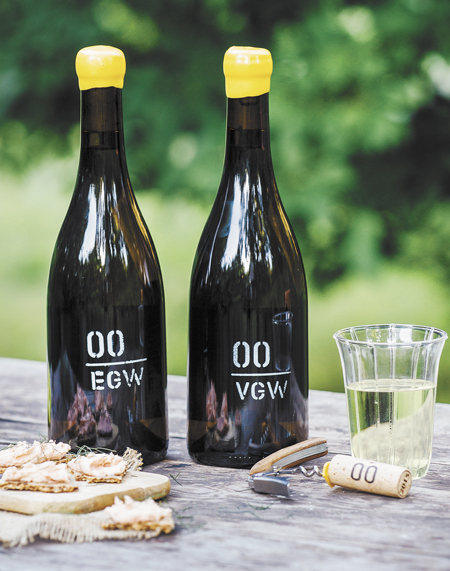 Look for the 00 VGW (Very Good White) and EGW (Extra Good White), alongside the 00 VGR (Very Good Red) and single-vineyard bottlings of Shea, Hyland and Stardance. Sample the wines at the Carlton Winemakers Studio and by appointment. The Hermanns are in the process of buying and renovating a cottage in Carlton, which they hope to open by September/October for private tastings.